Just looked up his numbers, would be a shrewd move. Looks like a player on the rise. Will he be on the Cowboys radar? Cowboys played in 5 of the first 13 SBs, 8 of the first 30 and ZERO of the last 23. Yes, thanks Jerry. Look in the mirror because that’s where the blame for the last 23 years squarely belongs. Enjoy the cash and the gold jacket because as long as you do it your way, winning a wild card game is the best we get. Then we get to watch organizations that are set up the right way, win another SB. He cares more about the money than what happens to Dallas franchise and legend...I miss the days when if you played the Cowboys in the playoffs, you better be prepared because we were well coached, discipline team. Any playoffs with the Cowboys in it meant that we might go all the way to the SB....Now its more are we going to make the playoffs? And just making the playoffs means we had a good season...get out of the way jerry...Let the coaches coach and let the head coach choose their own coaches. Zordon and Bobhaze like this. Who was the coach for the last Browns playoff win? Bill. He got that team to be Super Bowl favorites by many in he mid 90s. The news of them moving to Baltimore threw everything in disarray and they were never the same. They were building something there in Cleveland. Bill had them on the right track. He built defenses that made Montana look silly in the 80s. He's one of the greatest coaches ever. Have the Patriots ever been a bad team under Bill? I don't think they have. Not even an outlier season. Even without Brady, they won 10 games. i wana puke. tired of the patriots. Brady will go down as the goat and i'm fine with that. hoping the patriots turn into my beloved chicago bulls. Jordan and phil leave and we have become a dumpster of a franchise. 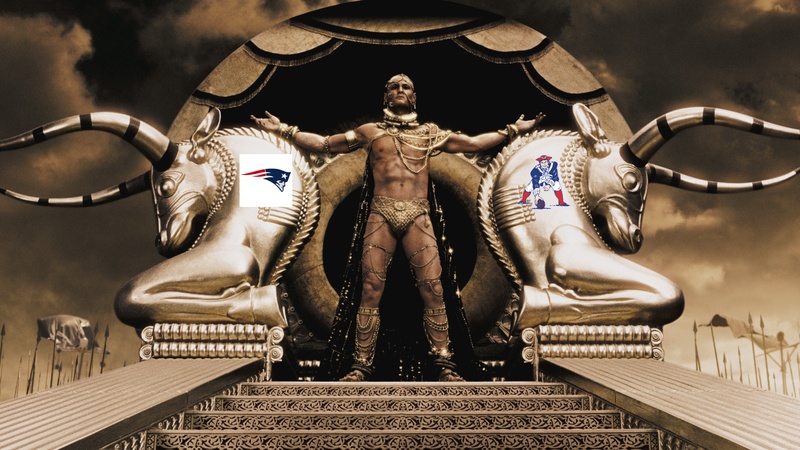 here's to the patriots going south soon. Ehhhh. If Dallas had a run like this for nearly 2 decades, I would be content on sucking after for awhile. Nature of the game. No team stays on top forever. Even the Yankees went through rough times. But the Patriots will go down as one of the greatest dynasties in sports. NFL created the salary cap so teams could not dominate like they did in every decade prior. And they are doing it anyways. I am not a Pats fan by any means but i am glad to witness the greatest QB ever and maybe the greatest coach ever. It's unreal what they are doing. And the aren't done yet. I think Brady gets another ring before he retires. This is what baffles me. Jerry is nearing 80. He is worth about $7 billion. He just bought a 9 figure yacht. Who cares about money at this point. You have enough to last your whole family for centuries. Making millions more you will never spend seems pointless. At some point, money has to become less of a factor when you get to be that rich. No one cares about how rich he is. But think about how much his ego will be stroked if he got us a few more rings and we move to the front with 7. That would be worth than any money he could make. I guess our fellow Cowboys fans will endure these threads until we win a SB again. New England eliminates the top producing player on the Opponent's Team. That, and Tom Brady receives time to make a play. Oh, and they successfully run the ball...and in the Red Zone. You never know. 2 weeks ago many on here thought McVay was the greatest coach ever. And now they are sucking up to NE. They need to go to the NE board for that. The point being, they should go to the NE board and discuss it with them. This now has nothing to do moving forward. The next season starts now. Nobody is happy about this. Except NE fans, of course. I suspect this latest Pats SB victory will spur quite a reaction by Jerry Jones and the Cowboys to match the Pats with their own 6th SB win.